While youre at work, this discreet unit is working hard for you at home. Set it to record all day at low resolution while youre out and about, then have it automatically switch to high-resolution, motion activated recording when you return. Or do it the other way around, depending on when your greatest concern is; the choice is yours. Also operates by remote control. 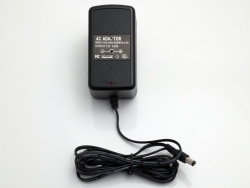 This unassuming "ac adapter" is right at home in any room where you need a security presence. It accommodates SD cards up to 32 GB, allowing it to safely store 64 hours of footage. It does not transmit, so there's no risk of someone stealing your signal. The unit is equipped with a Sony CCD camera supporting a spectacular 700TVL resolution.